Italy finally has a new government: the “Penta League coalition”, formed via an agreement signed by Luigi Di Maio, leader of the Five Star Movement, which won 33 percent of the vote, and Matteo Salvini, leader of the League, which received a surprising 17 percent of votes cast. 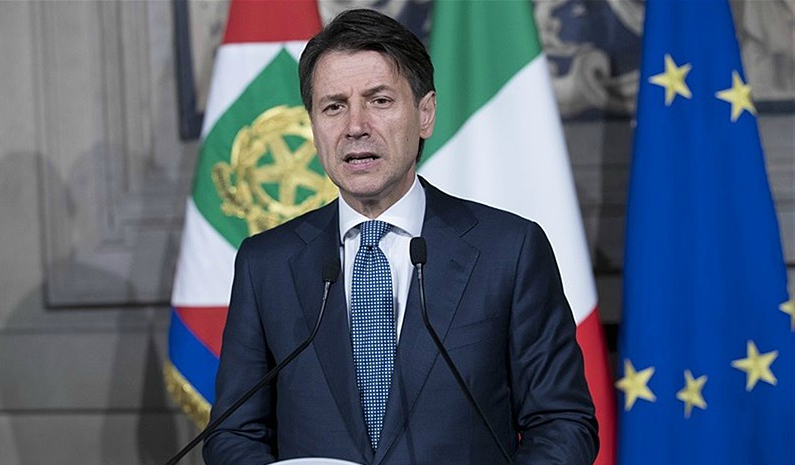 New prime minister Giuseppe Conte – a complete newcomer to politics – will soon face his first tests at a string of international gatherings: the G7 in Canada (8-9 June), a crucial European Council at the end of June, and the NATO summit in July. Much of the new government’s work will naturally depend on how the two coalition partners manage to work together: their very different approaches to both domestic and foreign policy mean success in this area is not a given. The Five Star Movement is an anti-establishment outfit with something of a hybrid soul, both leftist and rightist, that advocates for a “government of change”, moving on from old politics. It explored working with the Democratic Party, which won 18 percent of the vote: had the two parties found agreement, Italy today would have a quite different government. But the Democrats – on the verge of implosion after plummeting 25 percentage points from their handsome 2014 European election win – refused to engage. In turn, the League is an ally of Marine Le Pen and Viktor Orban. Salvini is an experienced, quick-witted politician. His recent campaign was Trumpist in tone, and he made much of his proposal to forcibly deport 500,000 migrants. The parties’ eventual coalition agreement comprises some very basic common ground on social services and security issues: it is a clear split between the League, which is now in charge of security and law and order, and the Five Star Movement, which received welfare and pensions reform. The “reddito di cittadinanza” – the citizen’s basic income – was the backbone of the Five Star Movement’s campaign and it is where most of its electorate’s expectations lie. Key too will be upcoming decisions on parliamentary committee chairs, on ministry positions, and the appointment of 350 key positions in Italian authorities, companies, and some publicly owned bodies. Speaking ahead of the Senate confidence vote in the session that followed, Conte sought to reassure parliamentarians that Italy would stay in the European Union and in the euro – “exiting the euro was never discussed”, he said. This is the key point on which the Italian president, Sergio Mattarella, wanted a firm guarantee before giving the green light to the new government. Mattarella had already won a high-profile battle over the two parties’ first choice to lead the ministry of finance and economy. Paolo Savona was known to have written a guide to how to create a “sovereign economic era” following a quick exit from the euro in the event of disagreement between Italy and other European member states. The compromise eventually agreed sees Savona as Europe minister, without budget expenditure power. The president imposed Moavero Milanesi, former Europe minister under Mario Monti and Enrico Letta, as foreign minister, a position of much greater weight, to de facto contain and control Savona. As a result, Conte’s speech recalled the role of Italy as a founding member of the EU and claimed Italy’s right to work for a “stronger and fairer” Europe, where citizen needs are at the core of European policies and member states share of the burden of responsibility equally shared among themselves. On Europe: Angela Merkel recently made a gesture of goodwill by sharing her recognition of the pressures Italy has deal with in the management of migration. Under Paolo Gentiloni, Italy sought to work closely with the Franco-German duo, especially in the fields of security and defence and EU economic governance reform. The new Italian finance minister, Giovanni Tria, expressed his view before joining the government: Europe should be improved and changed from the inside – which would suggest no eurozone exit for Italy – and that Germany’s dominant role should be counter-balanced. Foreign policy is not at the core of the coalition’s stated programme, but the parties share common ground when it comes to sanctions on Russia. Both view Vladimir Putin as a necessary ally, both for national commercial interests and for conflict resolution, especially in the Middle East. This standpoint has already led the Italian government to begin promoting a revision of the sanctions system, starting with those hitting the Russian civil society. Whether it will succeed or not on sanctions will depend on its ability to create alliances, given that Italy cannot pull out unilaterally. But certainly it will trade off on other areas in order to obtain support on sanctions. Meanwhile, on trade and protectionism the new government may find itself closer to Trump. During the campaign both parties called for an “Italy first” approach for protecting national products and industries. Of course, Italy will not be able to impose national barriers on its own, but this view could form common ground with the Trump administration. Italian participation in European and international missions abroad will be also key to define what kind of role Italy wants to have in the international order. Both the League and the Five Star Movement want to withdraw Italian troops: from Afghanistan, where Italy is a key ally to Germany; from Niger, where they dislike Italian forces’ limited presence in support France; and from Lebanon. Such decisions risks weakening Italy, a G7 member, in its leverage in the EU, NATO and UN. Finally, on the crucial matter of migration, the government has made it clear that it wants to challenge the current EU management system and completely revise the Dublin III arrangements. This month’s European Council meeting will therefore be an important stage for presenting the new Italian position. The failure of the Luxemburg ministers of interior meeting on the Dublin regulation and of a recent Bulgarian proposal to reform Dublin III could not happen in a better moment. Italy found itself in a very unlikely coalition made up of 10 member states with very strong and different views on migration. Dublin III is now under great pressure and the reform process now appears at a standstill. Salvini will now have some time now ahead of the European Council meeting to define his preferred strategy and to find European allies, starting with Orban, to change the current migration management system. Austria assumes the EU presidency in July and so could be a first and close interlocutor to talk to given its anti-migration stance, as could the Visegrad group, which strongly opposed any relocation and redistribution of migrants. However, the new government will also have to think beyond Europe and towards the near neighbourhood, starting with north Africa and countries of origin of migration flows. On 4 June Salvini commented that ‘Tunisia exports jailbirds’ provoked a diplomatic clash between Rome and Tunis with the Italian ambassador officially summoned by the Tunisian government to clarify his words. Italy is biggest Tunisia’s commercial partner and, even more importantly, Italy has been supporting the democratic transition in Tunisia. Tunisia is one of only a few countries to implement the repatriation deals. The current situation is unprecedented for both Italian and European politics, marking a strong shift in the balance of political power. The future of Italy’s role and of its relations with Europe will depend first and foremost on how Di Maio and Salvini balance their respective powers in the coalition and how this affects the government and its international presence. Starting today, the new Italian government will show if it can pass these big international tests and bring about reform at home.